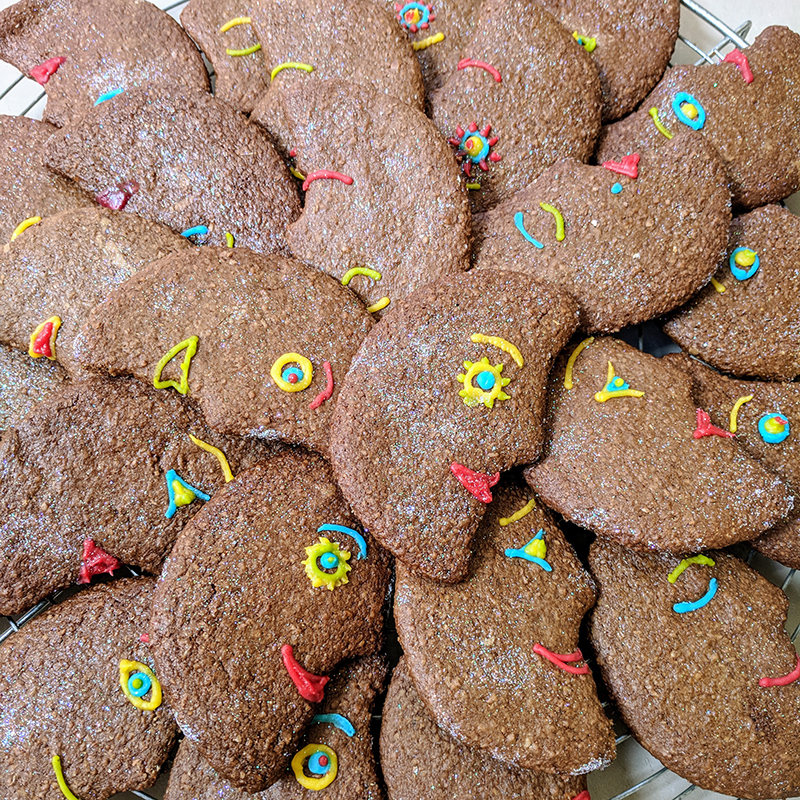 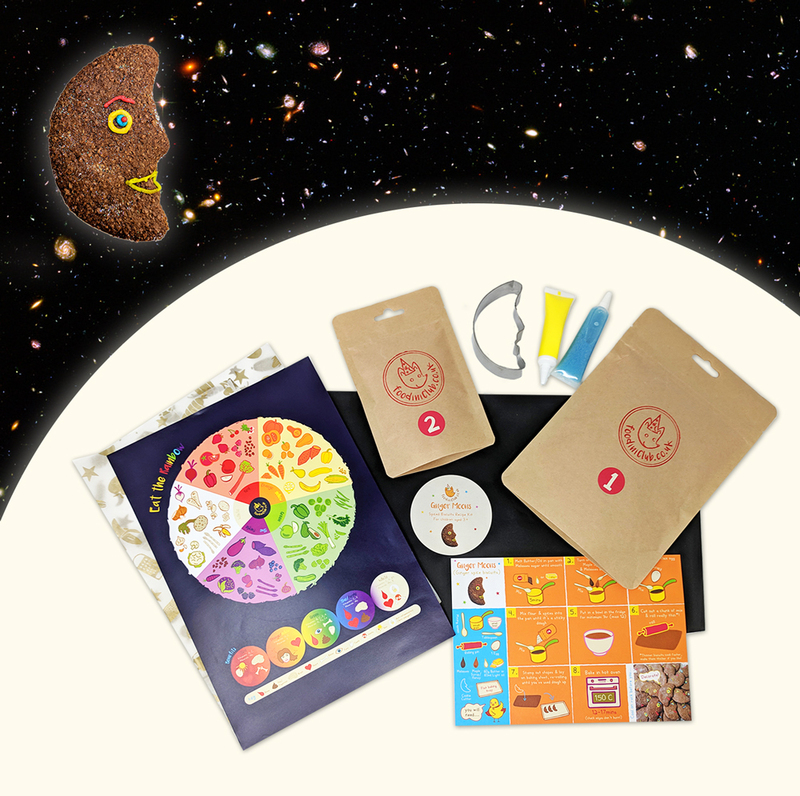 Make, bake and decorate crunchy moon shaped ginger spice biscuits! 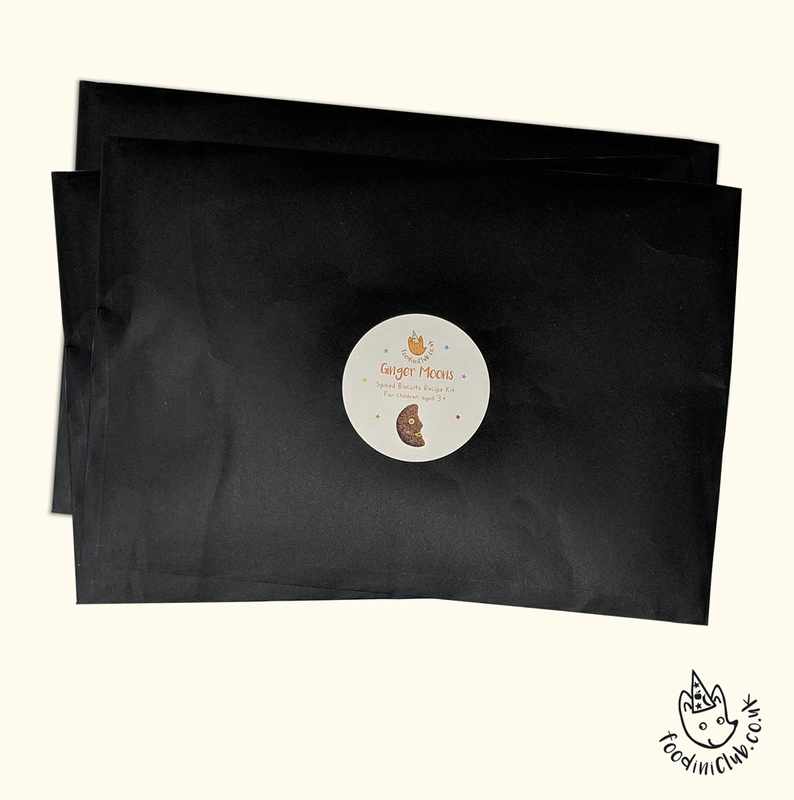 The recipe pack contains all the dry ingredients in biodegradable pouches, ready to whip up batches of crunchy spiced spelt biscuits based on the classic Gingerbread biscuit we all know and love. 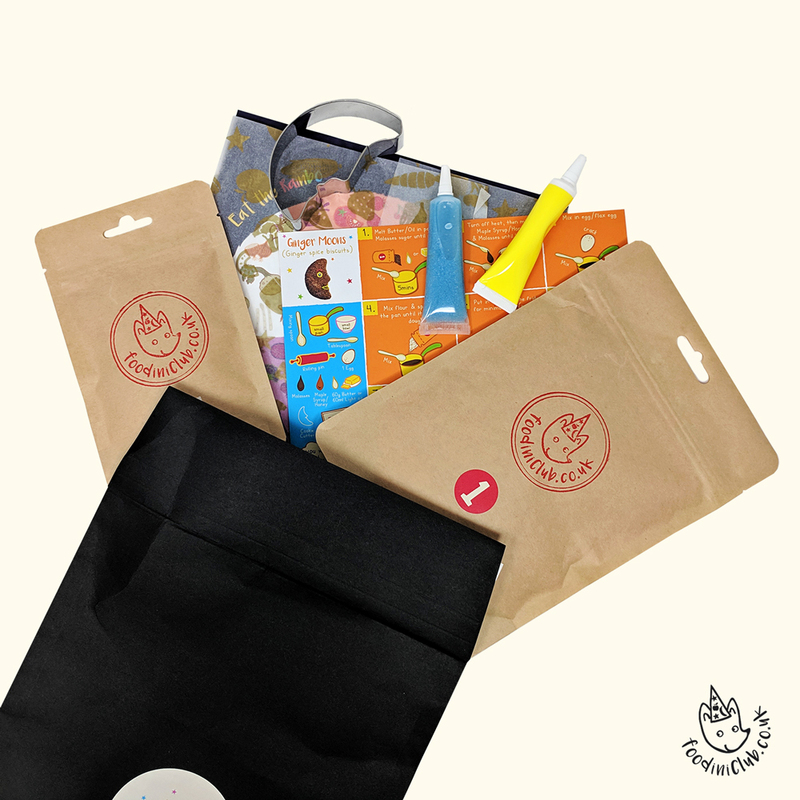 Each kit also includes cookie cutter and decorations plus child friendly illustrated step-by-step instructions all contained in a letterbox friendly pack. You will need: Butter or Vegan Butter, 1 egg (or flax egg), Maple Syrup/Honey & Molasses.